(The Yomiuri Shimbun) The government is considering opening part of Japan’s railway market to overseas companies based in Europe in the negotiations for an economic partnership agreement with the European Union, according to sources. 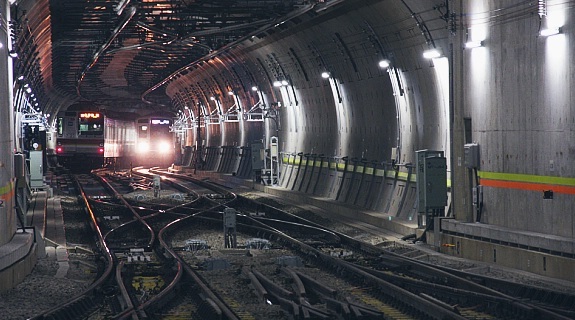 The government will likely oblige railway operators, including Tokyo Metro Co., in which the government invests, to conduct “international competitive bidding,” that would allow foreign companies to participate when procuring railway equipment for a specific sum of money or higher. Under an agreement of the World Trade Organization, when government-related entities or public corporations purchase goods of a certain sum of money or higher, or order construction projects, they are obliged to conduct international competitive bidding. As the agreement has a provision that sets exceptions, Japan has treated procurement of equipment related to operational safety, such as railway signals and operational administration systems, as being exempt from the obligation. The exceptions are applied to railway operators that the government invests in or becomes a stockholder of, including Hokkaido Railway Co., Shikoku Railway Co., Japan Freight Railway Co. and Tokyo Metro. Concerning these measures taken by Japan, the EU has complained that Japan’s railway market is closed. Behind the complaint is the fact that the EU contains companies strong in the railway business such as Siemens of Germany and Alstom of France. Therefore, Japan intends to make it possible for companies based in Europe to participate in the bidding. The government is hastily making arrangements for a moratorium period for target companies to start the international competitive bidding and on concrete items for the bidding.